We're the Gypsy Boys - Estate Sales are kinda our thing! 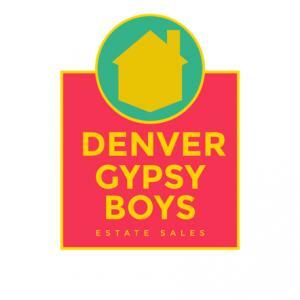 Denver Gypsy Boys is one of the largest estate sale company in Colorado. For the past 20 years, we have been assisting people in the Denver Metro area sell art, antiques, furniture, cars, china, glassware, collectibles, kitchenware & household items. Since 1995 we have organized over 500 sales. Rather than conducting multiple sales simultaneously and spreading estate sale shoppers throughout the city we focus on one sale at a time, that way you receive the best service from our best people and your sale never gets overshadowed by another. The Gypsyies can take care of all of your estate sale, tag sale and moving sale concerns. Need to move or downsize and can’t take it all with you? We can help. In charge of liquidating an estate due to death or divorce? We can help. Need to have a sale before you can put your house on the market? We can help. Contact us today for a free, no obligation consultation and evaluation. Amazing Wash Park Sale - Eclectic AF!! Publish Sale Blowout sale still lots left $10 a box & 75% off Everything Else. Nice furniture jewelry glassware galore vintage radios and beer signs, crocks, vintage art, LP’s, books, lawn and garden, pewter, xmas and much more. This company has posted a total of 57 estate sales. Only the most recent 50 sales are shown. "I highly recommend the Gypsy Boys to sell the contents of your home. Brad was professional and very courteous in our meeting and was easily accessible if I had any questions. They had a monumental task in organizing the house, basement, and backyard and did an excellent job pricing and displaying items. The promotion of the sale was above and beyond and they left the house in great shape. Everything was done in a timely manner." "Good work! I know that things will be clearly priced, and even if price tags "disappear", you'll have enough support staff to help me. :-)"
"Everything well laid out and fairly priced." "Another awesome sale! Always well done and reasonably priced. Look forward to the next one."